When Mayor Byron Brown announced the Buffalo Green Code back in 2011, city residents were promised a land use plan that would preserve the character of neighborhoods and encourage future development that was consistent with the prevailing patterns. Residents were told that the historic fabric in a neighborhood – typical lot sizes, scale of existing buildings, and the intensity of development – would provide the foundation for future growth. To date, the authors of the Green Code have allowed these lofty principles to be supplanted by a competing set of interests: the desire of developers to maximize profits. Nowhere is this reality more obvious than in the announced plans for Elmwood Avenue and the residential streets throughout the Elmwood Village and West Side. Three numbers – 225, 5, and 0 – tell a numerical tale about the priorities of the Mayor’s Buffalo Green Code [BGC] team. According to the “Property Information” data available at the City of Buffalo website [insert link], there are nineteen (19) parcels of land on Elmwood Ave. in the two-block area between the north side of Bryant St. and the south side of W. Utica St. 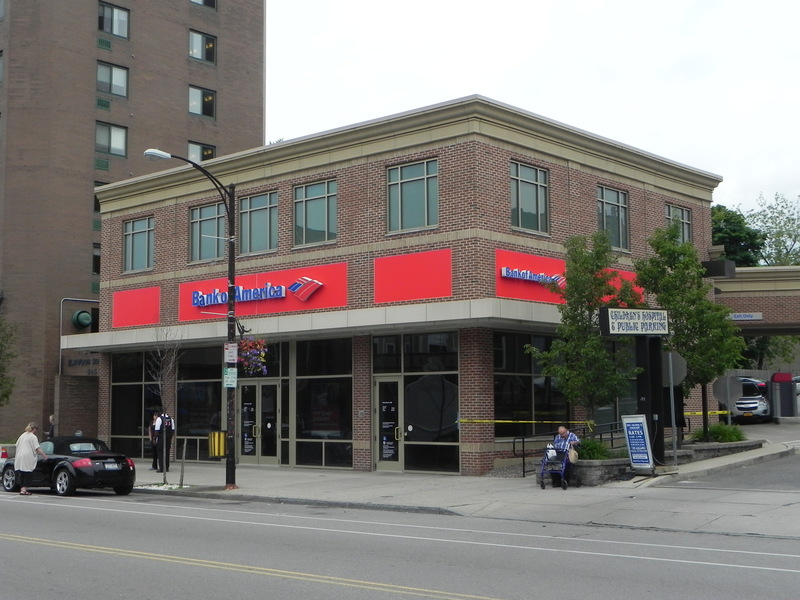 The stretch includes landmarks such as Hodge Liquor and Casa-Di-Pizza, as well as the 2008 Bank of America branch building. The average width of the lots between Bryant and W. Utica is seventy-two feet (72’). The narrowest parcels are 28 feet (28’) wide. The two widest – one containing a gas station/convenience store, the other the Elmwood Square residential tower – are 200-feet (200’) wide. While the lots between Bryant and W. Utica range in width from 28’ to 200’, the typical parcel on this stretch of Elmwood Ave. is less than 72’ wide, with eight of the nineteen parcels measuring less than 50-feet in width. The “Elmwood Village” extends northerly down its namesake roadway to Forest Avenue. The last block – beginning at Bird Avenue – has 29 parcels which include such popular eating spots as Pano’s, Vasili’s and Coles, as well as Mr. Goodbar. The average width of the lots on the Elmwood Village’s northernmost block is only forty-four feet (44’). 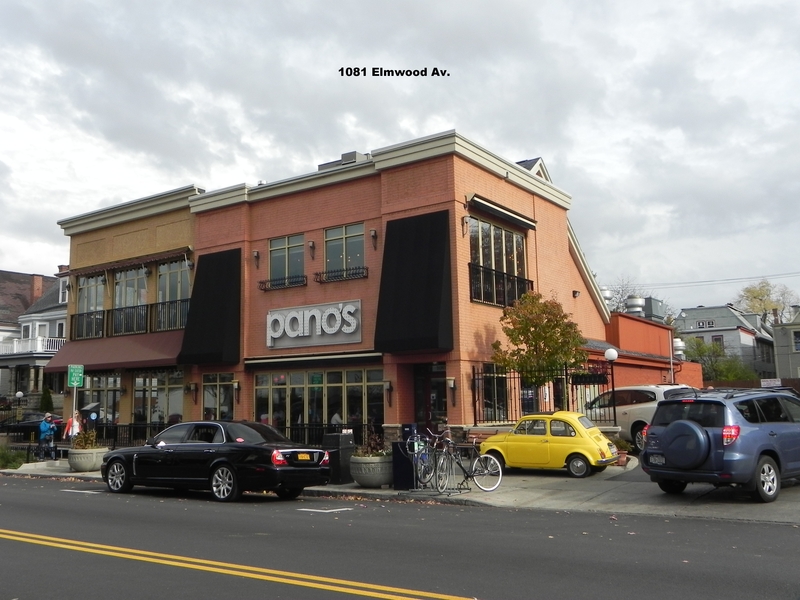 Nearly eighty percent (80%) of the parcels – 23 of 29 – are less than the average width, while the most expansive lot, measuring one hundred forty-three feet (143’) wide, accommodates Pano’s restaurant and its on-site parking lot(s). 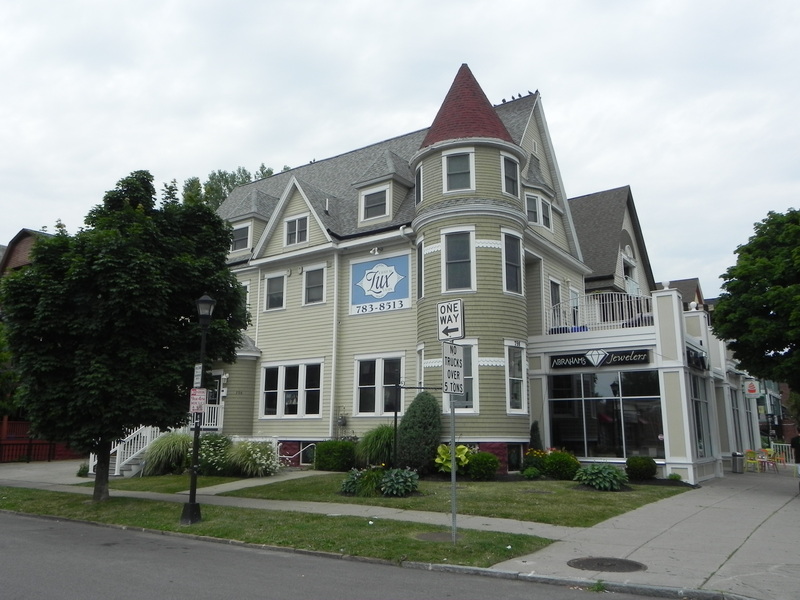 Given the typical lot widths on Elmwood Avenue, a fan of the unique character and ambience of the Elmwood Village might expect that the Buffalo Green Code would limit the maximum lot width for future development to somewhere between 40 and 75 feet. After all, the Brown Administration and its consultants promised to preserve the historic fabric of the city’s neighborhoods. Incredibly, the May 2014 Draft Buffalo Green Code – without any explanation – calls for a maximum lot width of two hundred twenty-five feet (225’). That dimension is more than three times the average width of the lots between Bryant and W. Utica, and five times the average width of parcels between Bird and Forest. 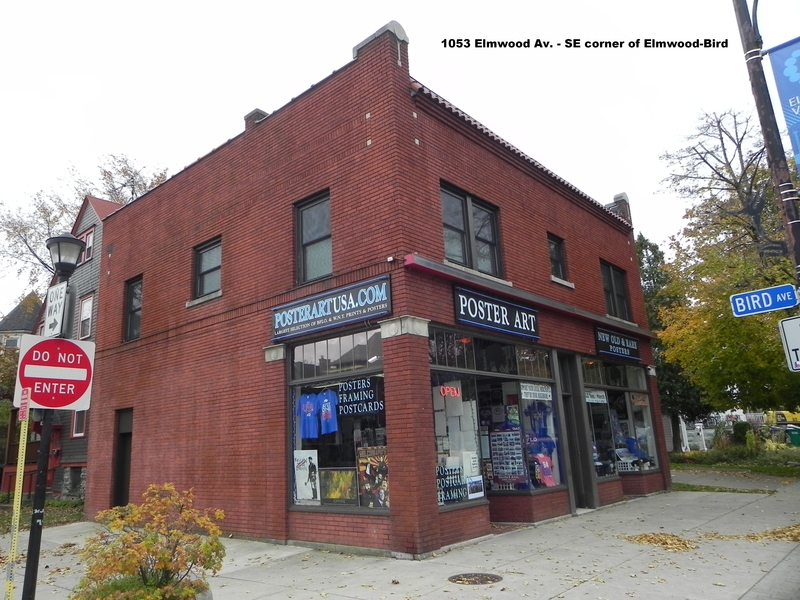 Coincidentally, the Elmwood Village Association’s office is located on Elmwood just north of Bird Avenue. At a recent meeting to discuss the proposed BGC, a representative of the EVA – an association that functions more as a junior “Chamber of Commerce” than a grassroots organization – recommended that the maximum lot width in the proposed land us plan be reduced from the bloated 225-feet proposed by the BGC authors to a svelte one hundred fifty feet (150’). It appears that the EVA staff and board members do not grasp the fact that the popularity of the Elmwood Village is predicated on its small-scale, bohemian atmosphere. Although one-third narrower than the city’s current proposal, the EVA’s 150-foot recommendation is wider than the existing “champ” on the Bird-to-Forest block (that is, Pano’s restaurant), and nearly three-and-a-half times the width of that block’s average dimension. It is also wider than the Lexington Co-op’s expansive lot several blocks to the south at the corner of Elmwood and Lancaster. With one major aberration – the 12-story Elmwood Square residential tower on the southeast corner of Elmwood and W. Utica – no building on Elmwood Ave. between Bryant and W. Utica exceeds three stories in height. The vast majority of the structures are either one or two stories tall. Similarly, none of the buildings on the Elmwood Village’s northernmost block reaches even three-stories in height. 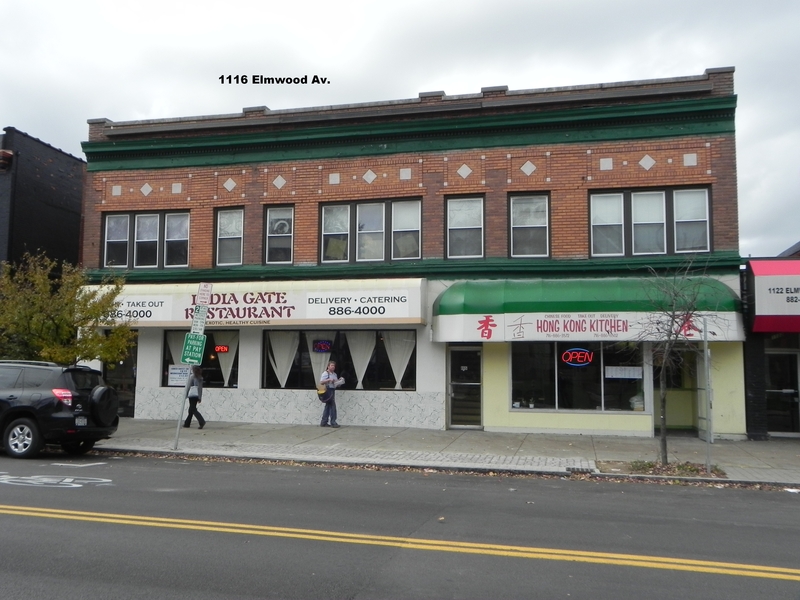 Nonetheless, the proposed Buffalo Green Code would allow a developer – as of right – to construct a five-story “commercial block” building anywhere in the proposed N-2C zone on Elmwood Avenue. It would not matter if a two-story residence were next to, or across the street from, or immediately to the rear of the new “mixed use” structure. Adding insult to injury, the proposed code would also allow construction of “commercial block” buildings – up to four-stories in height – on corner lots of residential streets throughout the Elmwood Village and West Side. 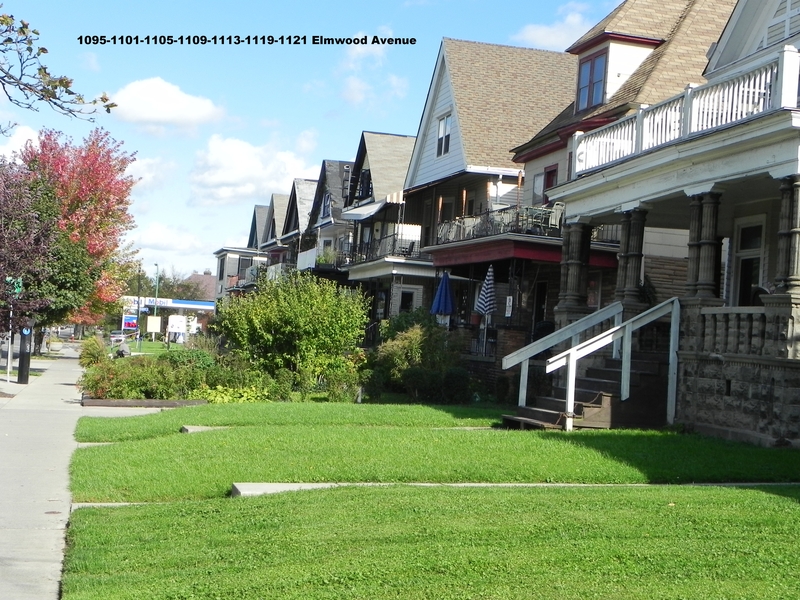 Given the overly generous lot-width and building-height dimensions in the draft Buffalo Green Code, and the presence of homes on Elmwood Avenue and the abutting residential streets, one might think that the so-called “commercial block” buildings in the Elmwood Village would be required to have substantial side and rear yards. Just the opposite is true. As currently proposed, commercial block buildings would be permitted to cover one hundred percent (100%) of a parcel in the N-2C zones – that is, such structures would not be required to have any front, side, or rear yards, and could cover the entire lot. 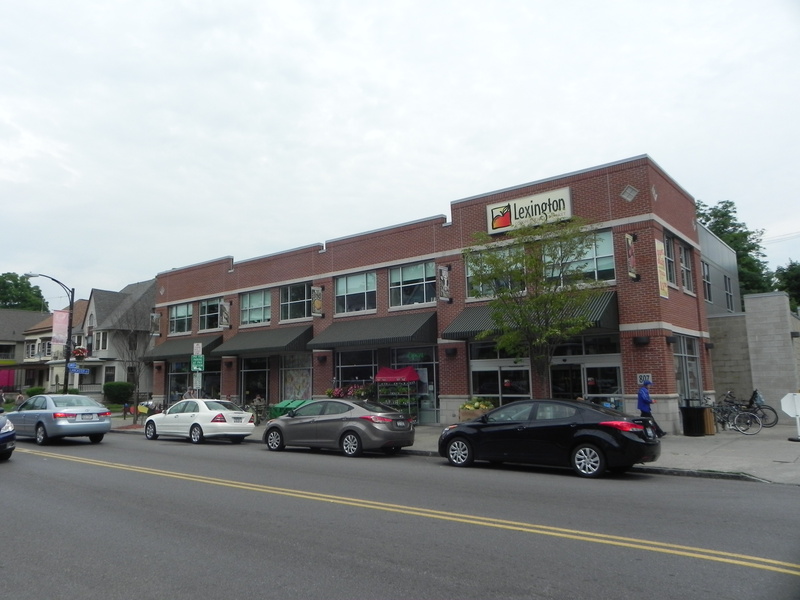 The one-hundred-percent-lot-coverage provision is made possible by inclusion of another ZERO in the draft BGC: “The provision of off-street vehicle parking is not required.” Despite the paucity of parking spaces on Elmwood Avenue, businesses would be allowed to provide ZERO off-street parking spaces. While some commercial property owners might decide that it is in their best interest to offer clientele the convenience of off-street parking spaces, others will maximize the square-footage of buildings by providing no or grossly inadequate parking. If the ZERO off-street parking provision is not modified, existing Elmwood Avenue shops and businesses will be at the mercy of future developers who may or may not feel obliged to offer on-site parking facilities. Customers of Elmwood Avenue businesses already find it necessary to park on adjacent residential streets, complicating the lives of homeowners and tenants who lack their own off-street parking. 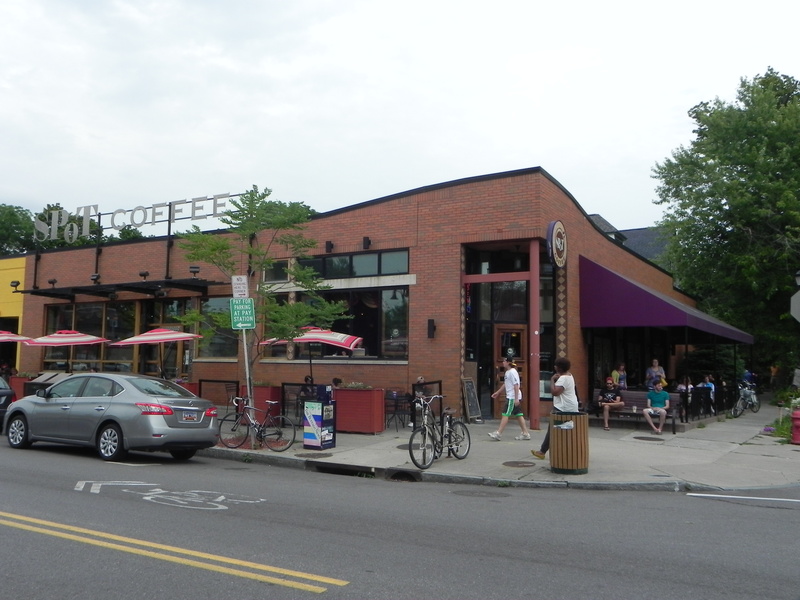 The city’s elimination of any requirement for new (or expanding) businesses to provide on-site parking spaces would exacerbate the situation, pushing even larger numbers of Elmwood Avenue visitors onto congested and narrow side street, and further impacting the privacy, convenience, and quality of life of nearby residents. In another instance of “adding insult to injury,” while Elmwood Avenue business will not be required to provide any off-street parking spaces, the proposed Green Code would allow the city or a non-profit organization to construct so-called “neighborhood parking lots” on residential streets by way of a “special use permit.” Given the developed nature of the Elmwood Village and West Side neighborhoods, such parking lots would most likely require the demolition of one of more existing homes, and would subject adjoining residents to the noise, fumes, and loss of privacy that accompanies a parking facility. 157,500 sq. 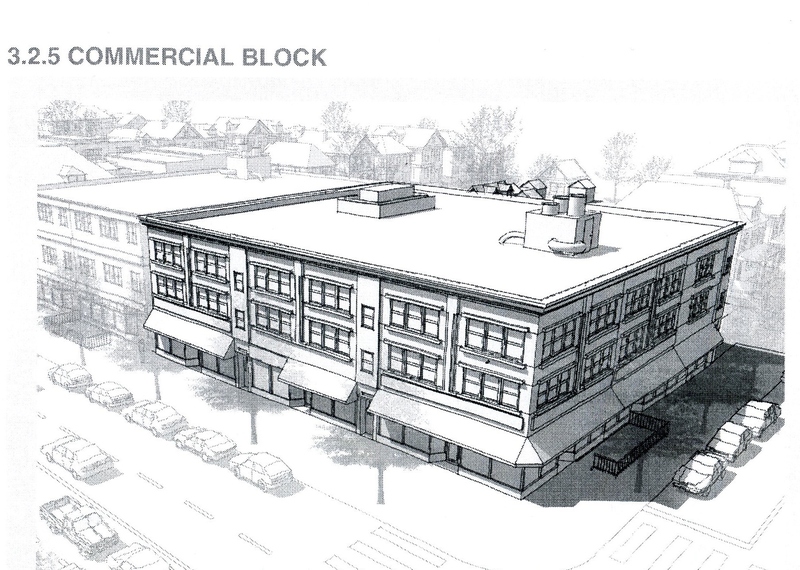 ft. – the potential size of a “commercial block” building on Elmwood Ave. There is a fourth number that should be considered in order to fully appreciate the pro-developer perspective of the proposed Buffalo Green Code. That number is 157,500 square feet, the gross floor area of a commercial block building that could be constructed on Elmwood Avenue “by right” if the City’s Common Council adopts the proposed BGC without drastic changes. 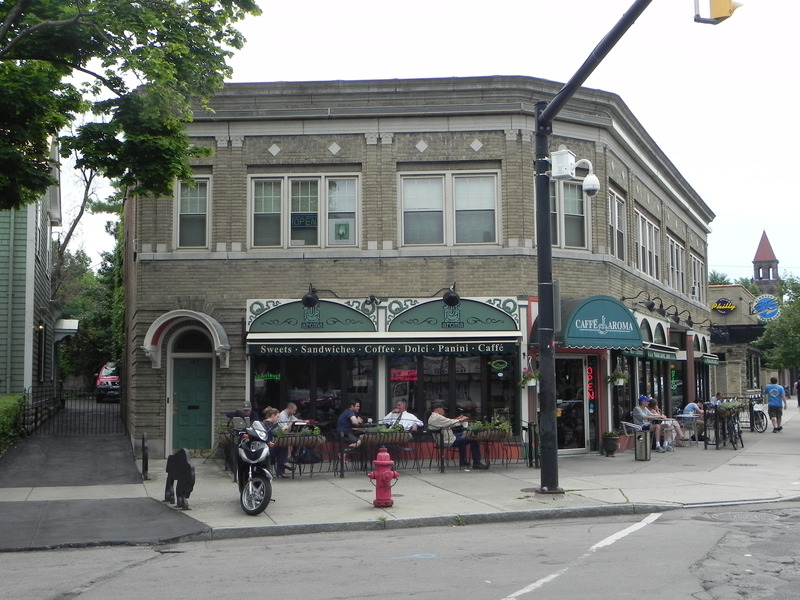 It is an extremely large number when compared to the typical buildings on Elmwood Avenue. Here is a possible scenario: A developer pieces together six or seven narrow Elmwood Avenue parcels to create a lot that is 140-feet deep and 225-feet wide, demolishes the existing residences and small shops, and constructs a 5-story “commercial block” building that covers the entire parcel. The resulting structure would contain 157,500 square feet of space [5 x 225 ft. x 140 ft. = 157,500 sq. ft.]. 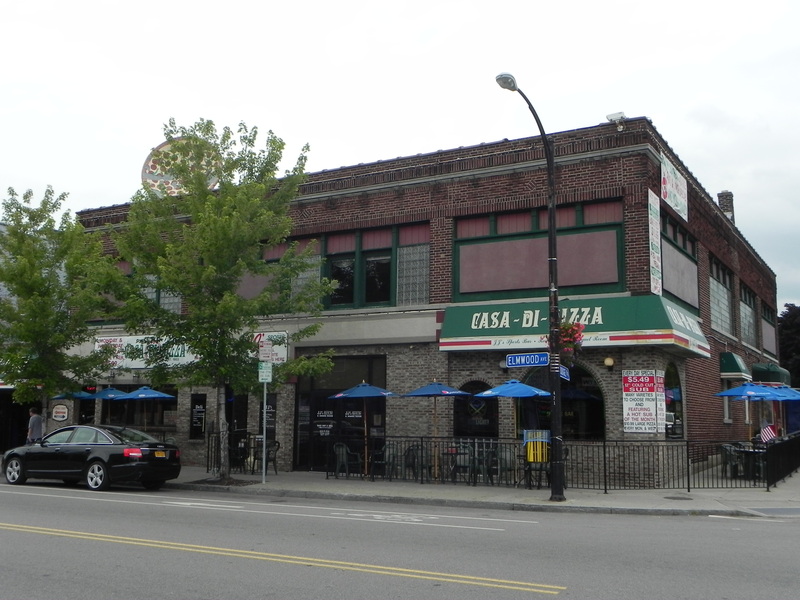 * Casa-Di-Pizza occupies a two-story building on a 64-foot wide lot, and has a total gross floor area of under 11,500 square feet. 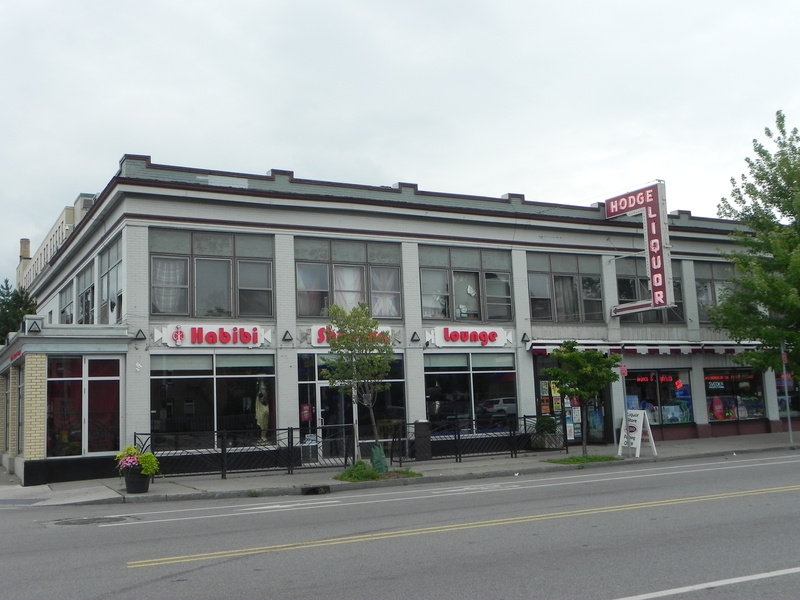 * The two-story iconic building that Café Aroma shares with Talking Leaves book store at the southeast corner of Elmwood and Bidwell Parkway has 7,500 sq. ft. of floor area. * The Lexington Co-op’s building contains 8,880 square feet. * The one-story structure that houses Spot Coffee, Agave Mexican restaurant, and Panera Bread totals 11,954 square feet. 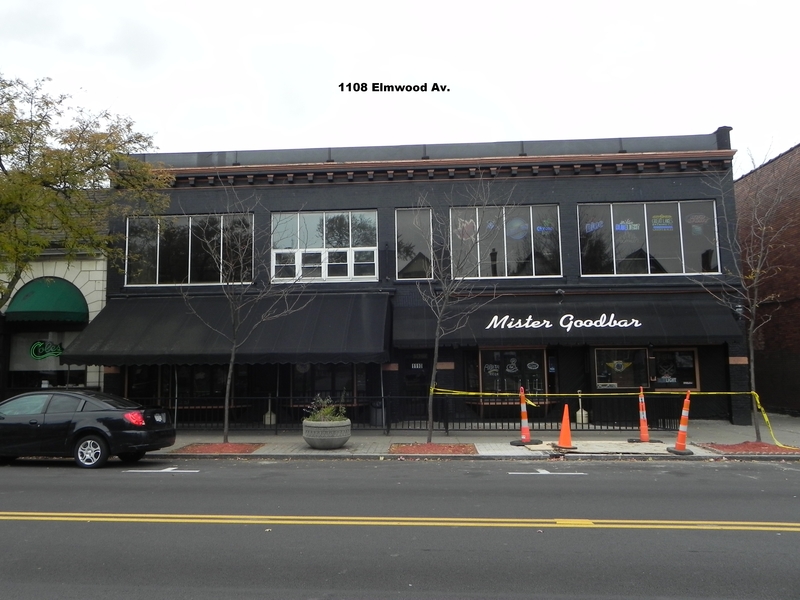 * Mr. Goodbar’s night spot occupies a 2-story building with a total of 6,930 sq. ft. The hypothetical 157,500 square foot building would be so large and out-of-scale with the typical Elmwood Village buildings that it would contain nearly 50,000 additional square feet than the 12-story Elmwood Square apartment and retail tower on the southeast corner of Elmwood and W. Utica. 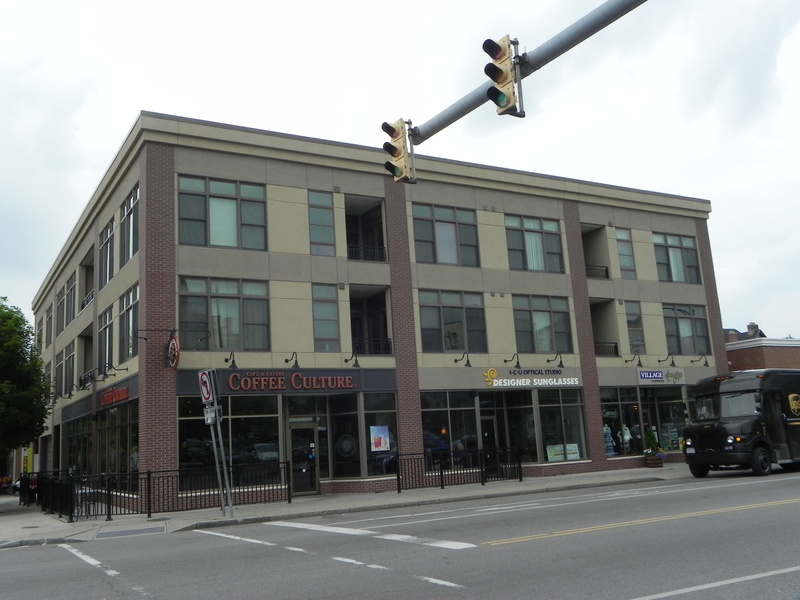 The Elmwood Square project totals 107,512 square feet of space, 98,197 sq. ft. of apartments, and 9,315 sq. ft. of retail shops. 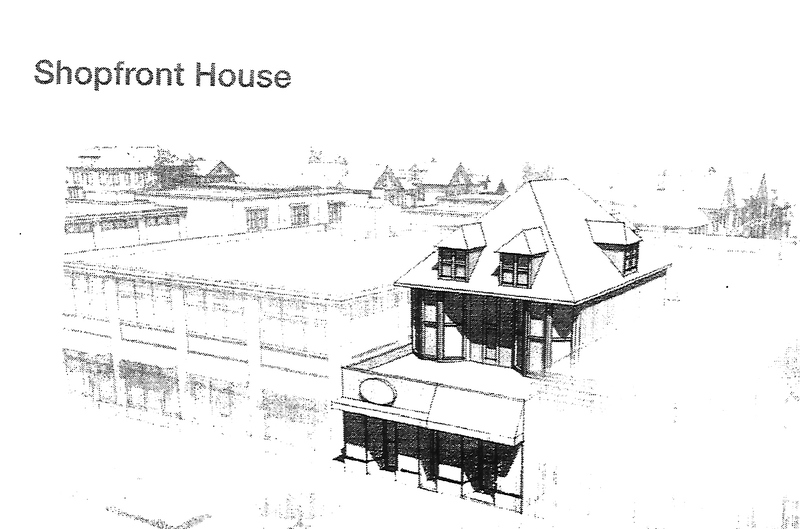 Even a building constructed in compliance with the Elmwood Village Association’s recommended 150-foot-wide standard would be grossly out-of-scale with existing Elmwood Village fixtures, and would contain approximately the same square footage as the 12-story Elmwood Square tower: 5 X 150 ft. X 140 ft. = 105,000 sq. ft.
BOTTOM LINE: MAYOR BROWN’S ADMINISTRATION NEEDS TO DELIVER WHAT IT PROMISED. Residents deserve a Land Use Plan that preserves neighborhood character, not a code that generously fulfills developers’ desire for the largest buildings and greatest profits.